If you've read any of my previous posts about Lucky Dip Club, i'm sure you'll already know just how much i love receiving these delightful surprise boxes of vintage-inspired treats in the post (and how devastated i am when they're sold out!!). 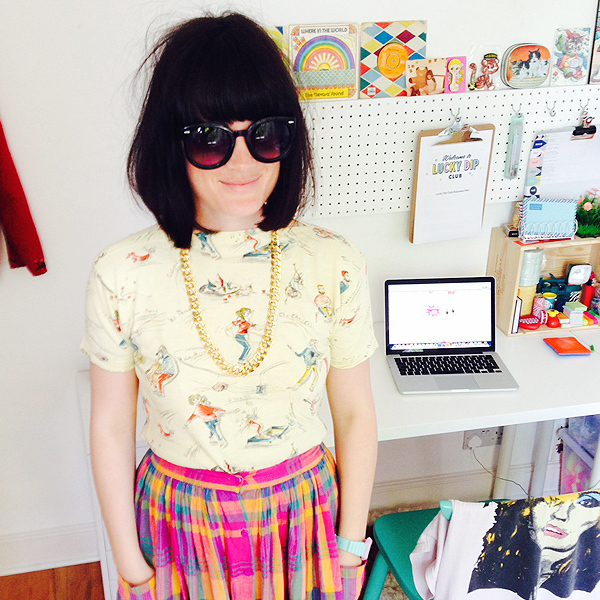 You can therefore imagine how delighted i was when Leona, the super thrifty entrepreneur-extraordinaire behind Lucky Dip Club, agreed to be my September Paper Crush! So, whether you're already obsessed with Lucky Dip Club or are intrigued to find out more about the club that everyone's talking about ...you're going to want to keep on reading as i'm incredibly excited today to share with you my recent interview with Leona! Hello Leona! Can you tell me a little bit of background about yourself? I left school at 16 and moved to London and after a series of jobs in styling and magazines I started my first jewellery business Lady Luck Rules OK in 2002 from a market stall in Portobello. Over a 7 year period I grew the brand until we had over 250 stockists, an E-commerce website and a shop in Shoreditch. After this I fancied a change and wanted to explore my obsession with vintage so I thrifted my way around the world, blogging and selling my finds on my website Thrift-ola.com. 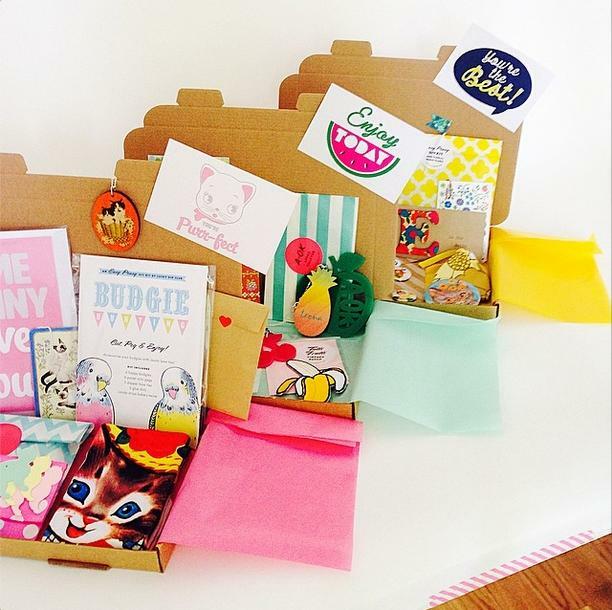 This year I have settled down again and launched a subscription box website called Lucky Dip Club for lovers of handmade and surprises in the post! Where did the idea for Lucky Dip Box Club come from? In 2007 I launched a range of colour themed lucky dip bags for my jewellery label and they were a huge hit. 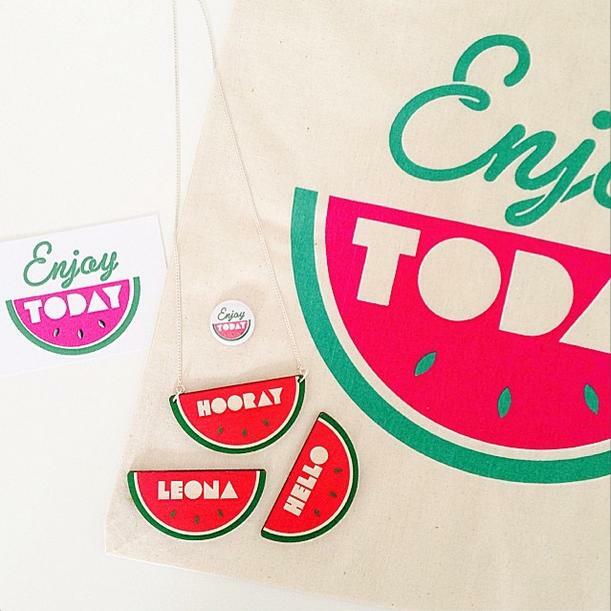 Fast forward to 2014, I was looking for a way to bring my designs and vintage finds to the market in a fresh and exciting way so I combined my lucky dip bags with a subscription box business model and created Lucky Dip Club. Since your launch in May, every single box has sold out in less than 24 hours, what do you think it is that’s really caught everyone’s imagination? My mind is blown everytime it happens and I really don’t know what the answer is but I’m absoloutely thrilled that people seem to be as excited as I am about my boxes! The first box took about a day to sell out and I had made 100, on the 1st September they only took 3 hours 45 minutes to sell out and I’d made 500! What’s been your favourite product in the boxes so far and why? I’m always working on multiple boxes at any one time and up to 6 months ahead and I absolutely love every product! The Tutti Frutti box meant I could make the biggest watermelon name necklace which was a total joy and I wear mine all the time. I’m also a nut for cats so I did go a little kitty crazy with the Pet Parade box. I only ever produce products that I’m super passionate about and can’t wait to unleash my favourite crushes on everyone in future boxes. Each month has a different theme, where do you get your latest inspiration from? My imagination sparks the theme for every box, it’s pretty wild and I’m an avid consumer of pop culture, film and vintage ephemera. What I love about creating each theme for each box is the ability to build a mini world for people to escape into when they open it and then my hope is they’ll find a bunch of useful, fun and decorative items inside to use, inspire and maybe gift to their best pals - although from the feedback so far people are keeping everything!!! Is everything in the boxes made by yourself? What’s your advice to budding crafters? Don’t be afraid to try new things! Making mistakes is ok and you never know, happy accidents can often lead to fresh ideas and innovative products, it’s the creative process and it’s fun. 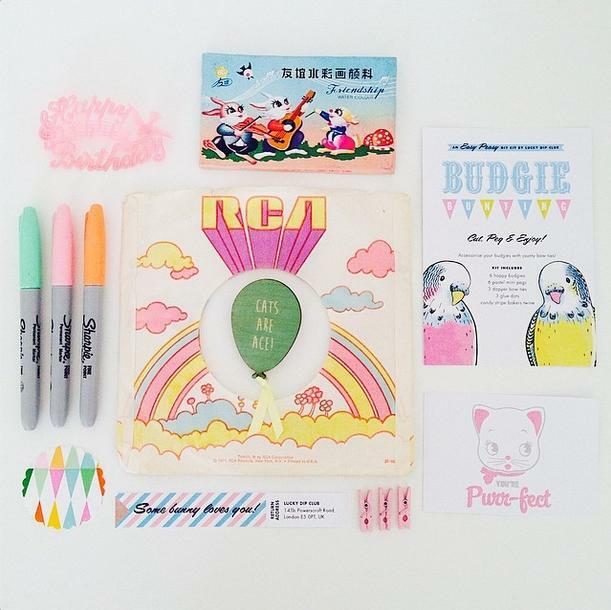 What are you most proud of so far on your Lucky Dip Club journey? Just the thought that it was a crazy idea in my head at the beginning of the year and now just 8 months later I’m making a living from it and enjoying it and I’ve met so many fantastic folk along the way. You’ve had such success with the monthly boxes so far this year, what’s next for the Lucky Dip Club? There are plans next year to add in seasonal boxes alongside the monthly boxes and I’m also working on a variety of collaborations as we speak for different projects. It’s been an absolute pleasure to work with some of my favourite illustrators and I cannot wait to reveal more! 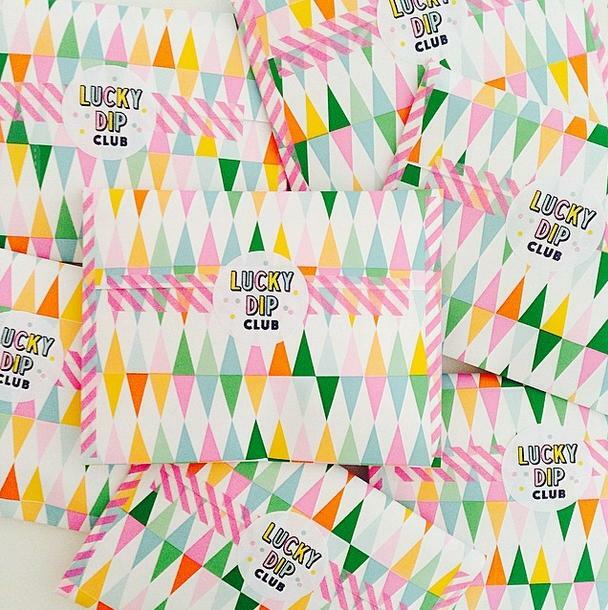 If you haven't yet signed up for Lucky Dip Club, i highly recommend it! The next box goes on sale on October 1st and from experience, you hit snooze..you lose, so set those alarms now! I also highly recommend checking out Leona's Instagram in the meantime for lots of inspiration, peeks behind the scenes at Lucky Dip Club HQ and to just generally fall in love with everything vintage and handmade!